Can I Understand Myself Better with Sensors? Your contributions will support the continued research of Dr. Vivek Singh at Rutgers University as he utilizes quantified-self data to study human behavior. Donations will help fund the $400K/year required to support two Ph.D. students and two graduate students, participant payment incentives, and other experiment costs. Help understand human behavior through objective computational data and create practical solutions; fund Dr. Singh. Most recent “big data”-driven research on social systems focus on online social networks. While providing a rich source of human behavioral data, social media is only representative of what we want to portray ourselves to be, and cannot reflect the objective data of how we truly are. Dr. Vivek Singh, Assistant Professor of Communication and Information at Rutgers University, uses quantifiable, personal “big data” to understand human behavior and analyzes “quantified-self” technologies like sensors and smartphones that can track much more continuous, richer, and more objective physical data in an unobtrusive manner. Asking new questions based on traditional statistical machine learning and standardized software, Dr. Singh is verifying and refining multiple theories concerning health and wellbeing, cooperation, and social psychology, to create practical solutions in informing individuals to take action for individual and social good. To this end, potential applications involve improved health, organizational effectiveness, economic welfare, emergency response, and enhanced quality of life. “Quantified-self” data include billions of call logs, proximity scans, and heart-rate measurements amongst many others. 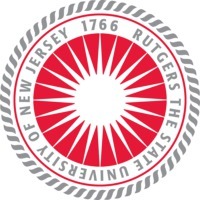 Dr. Singh and his students ran a preliminary study called Rutgers Wellbeing Study earlier in 2015, where they collected call, SMS, mobility logs and survey inputs on multiple facets like general health, wellbeing, trust, cooperation, and privacy for about 60 participants to run analysis and test multiple hypotheses. In the near future, Dr. Singh hopes to assimilate these findings to building the next round of designing community interventions to help participants support each other and enhance their health and wellbeing. By peering into how individuals live their natural life as it unfolds and measuring quantifiable data for a long period of time, Dr. Singh is able to develop more practical strategies to empower users. Privacy: Dr. Singh considers privacy a central facet of any research on human behavioral data, and does not think of privacy as an “add-on”, or as a check-mark to be filled up before moving onto more interesting research questions, but rather an integral core component of the research agenda. For this reason, Dr. Singh studies privacy attitude, privacy behavior, and privacy algorithms, to understand the tradeoffs between societal well-being and individual choice and privacy. Personalized Health: Although patients’ recounts of medical symptoms and history are valuable and important, they are subject to bias and error. Actual, objective, and detailed physical data that records daily conditions will allow one to understand health issues more comprehensively. To this end, Dr. Singh develops ways to leverage self-quantified technologies in medical science to improve personalized healthcare. Social Well-being: Understanding participant’s social well-being including social support, social capital, cooperation, and altruism, in real-world settings via indirect observations and persuasion mechanisms that intimately understand a user’s social ecology. 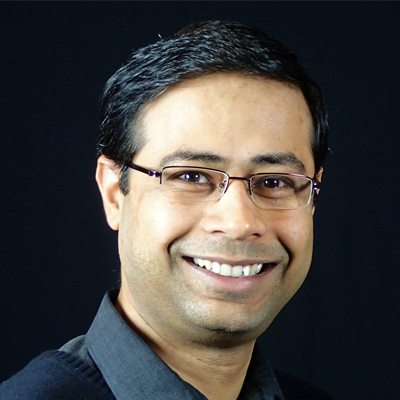 Dr. Vivek Singh is an Assistant Professor in the School of Communication and Information at Rutgers University. Before joining Rutgers, he was a postdoctoral researcher at the MIT Media Lab. He holds a Ph.D. in Information and Computer Science from the University of California, Irvine. He obtained his bachelor’s and master’s degrees in Computer Science from the National University of Singapore. His work has been published at multiple leading scientific venues (Science, Proceedings of the IEEE) and has received two best paper awards. The findings from these works have also been cited by the media including the New York Times, Wall Street Journal, Nature News, Harvard Business Review, and The Telegraph. Singh was selected as one of the ‘Emerging Leaders in Multimedia Research’ by IBM Research Labs in 2009 and he won the 2013 ‘Big Data for Social Good’ datathon organized by Telefónica, the Open Data Institute and the MIT. His research interests lie at the intersection of Big Data, Computational Social Science, and Multimedia Information Systems. Singh is especially interested in using mobile phone for his research, as he believes that is the most-effective mechanism for research innovations to reach out to 5 billion people. Having grown up in India, he has personally experienced how mobile phones can reach places and people way outside the “top of the pyramid”, which is the most common population segment to benefit from digital innovations. Mobile-phone based approaches provide an unprecedented opportunity for newer research innovations to directly benefit billions of users at the “middle of the pyramid”.